Walk down the hill from the Light Rail Station to the Cricket Pavilion (1910). On the rear wall above the seating are plaques commemorating some of the famous players from the Glebe Cricket Club (founded 1892). 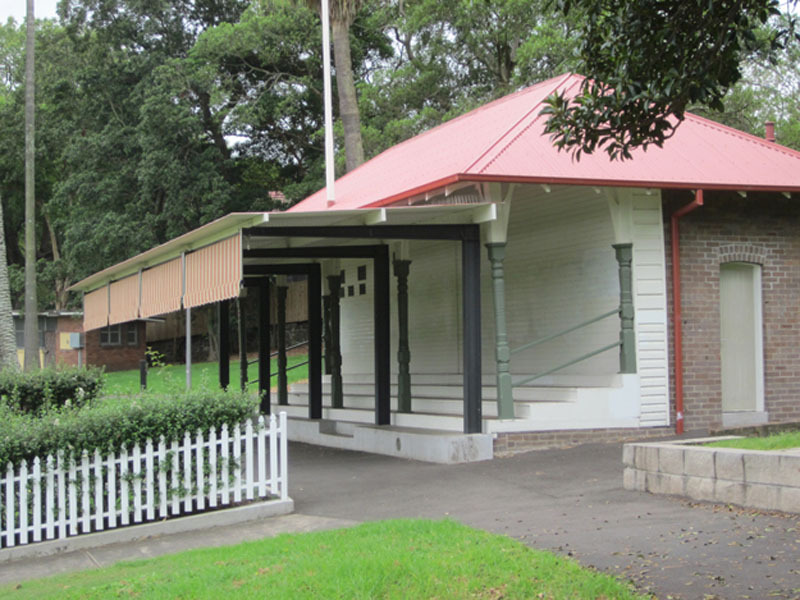 Walk down the hill from the Light Rail Station to the Cricket Pavilion (1910). On the rear wall above the seating are plaques commemorating some of the famous players from the Glebe Cricket Club (founded 1892). The Cricket Oval and everything between it and the current foreshore is all reclaimed land. Rozelle Bay before European settlement was much more extensive. Tidal swamps thickly covered with mangroves extended up Johnstons Creek as far as Harold Park. These were the breeding grounds of many forms of marine life. Sections of Johnstons Creek still harbour the disturbed remains of Aboriginal middens, so it is likely the Bays were a valuable year-round food source, though other evidence of indigenous occupation has been lost in the process of filling the bays and reclaiming foreshore. Reclamation often involved dredging, which had the added advantage of creating deeper water for vessels. The dredged material contains an abundant variety of shells from the Bay bottom, and was deposited directly over the sea grasses, which now lie beneath the parkland. What you now see as park was created progressively between 1880 and 1988. Continue along the pathway. Immediately on your right is a rocky outcrop indicating the original shoreline prior to reclamation. Turn left and walk along the avenue of Canary Island Palms (1909), a feature of the formal landscaping of a number of Victorian and Edwardian parks in Sydney, until you reach the Allen Truss Bridge (1890, re-constructed in 1998), an ingenious engineering solution to the need to bridge creeks, and one of several remaining in NSW. Should you wish to explore any part of the Annandale side you can access via this bridge. Otherwise continue along the path beside the Canal until you reach Rozelle Bay. You are now in Bicentennial Park, designed by Bruce Mackenzie and dedicated in 1988. At low tide the stone-paved mouth of the Canal is clearly visible.